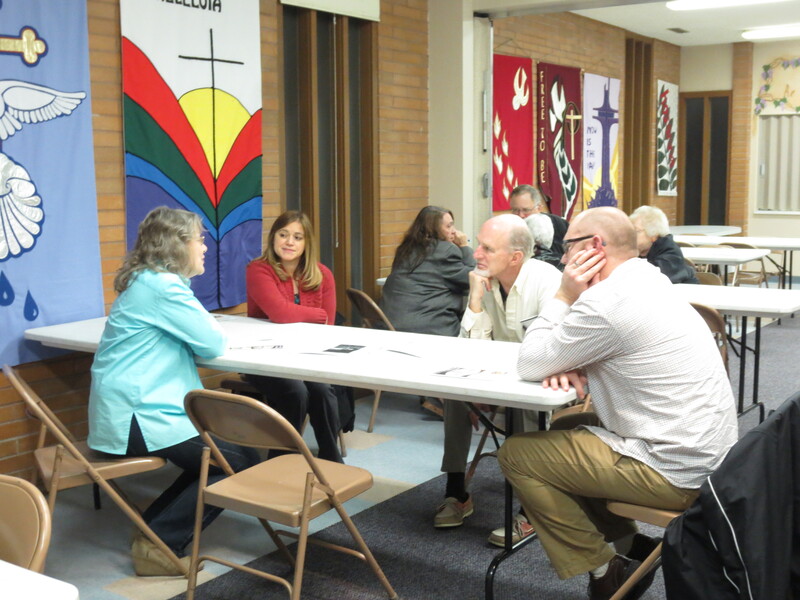 I would love it if there were many places and spaces where people could have enlightened and informed conversations about big issues facing the church and nation. There doesn’t seem to be much of a need for such a space because no one wants to talk. Or is that really true? 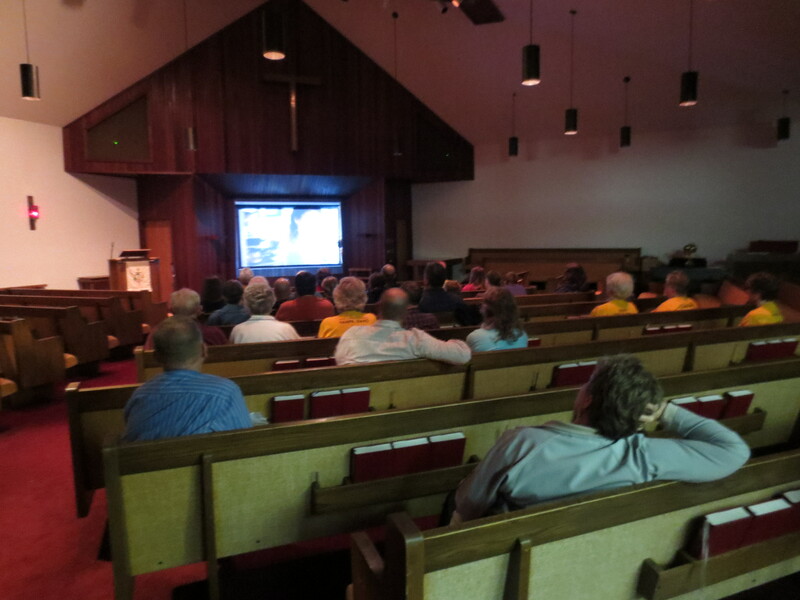 On Monday evening, Trinity Lutheran Church hosted a Food Stamp Challenge Potluck and screening of the film “A Place at the Table.” Our team of planners had no idea what to expect but we ended up having forty people at the screening, about one-third from our congregation and the rest from the community. 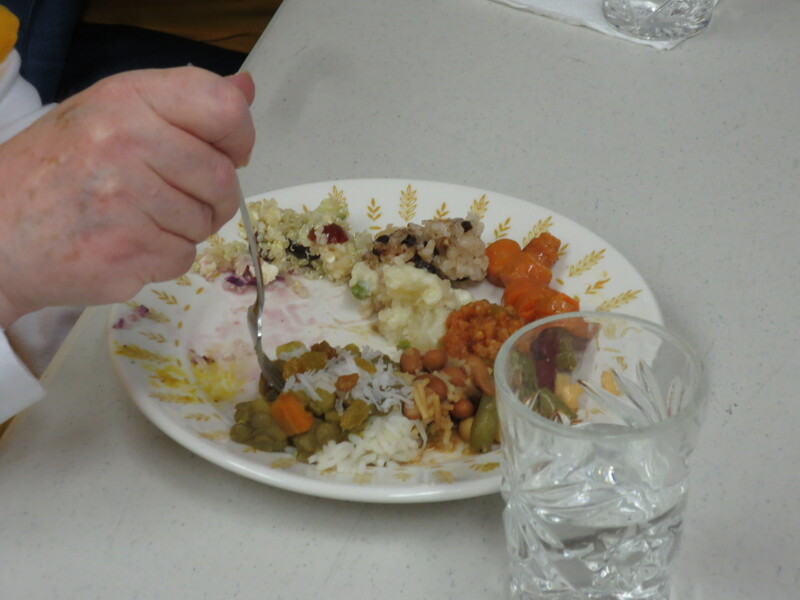 Many people came early for the potluck and were able to share their shopping experiences. One of our planners had waited until the first of the month to go shopping and ended up in a crowded grocery store with people who had just received their food stamps. He watched people tallying up costs as they shopped, trying to make each dollar stretch as far as possible. A Univ of Idaho Extension horticulturist had started with a bulk grain and remarked on the trade-off of low cost but high time-would someone working two jobs have the time to prepare something from scratch? The film itself is sobering–three vignettes that have no happily-ever-after endings. There is some hope toward the end of the film. We live in a democracy and if we want all of our children to have plenty of healthy food then we should be able to make it happen. 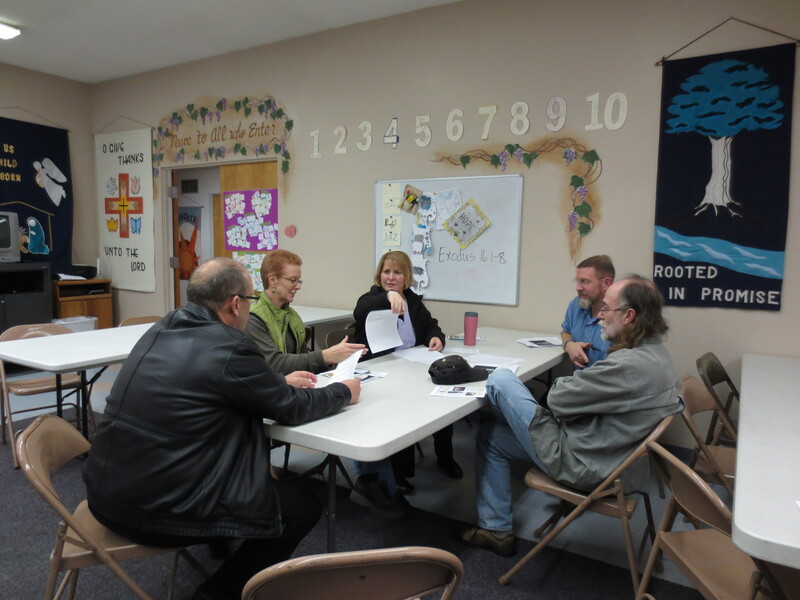 I was so impressed with how many people stayed afterwards for small group discussions in the fellowship hall and so honored by the community leaders who attended, including homeless liaisons from Nampa Schools, shelter and food bank coordinators, Univ of Idaho Extension Educators, and clergy. Conversations ranged from the role of government and the role of faith communities in solving the problem of hunger in America, a dream for a levy in Nampa with the sole purpose of giving school cooks the funds to create more healthy and tasty meals, and a brief description of the tools we provided (from Bread for the World) for people to write to our legislators. The hope for me was that people took time to learn more about an important issue and then wanted to talk about what they learned. I was glad to see this film for the second time, and to be part of the Food Stamp Challenge Potluck. I had thought that meatless chili would be easy to make on the SNAP budget. NOT SO!! Even using dry beans that I soaked and cooked, I would have had to skimp on the onions and green peppers in order to have budget enough for some Chili Powder. There was no room in the budget for canned beans, or for grated cheese to top the chili. I am a pretty frugal cook, but I still learned a lot doing this challenge.